SPAR Colchester hosted their second annual SPAR Colchester Village Cleanup on the 19th of November, 2016. The local community as well as Colchester Primary's learners all gathered at the community hall where children were registered and welcomed. Children were split into groups to clean 10 streets within the village, each with an adult supervisor. 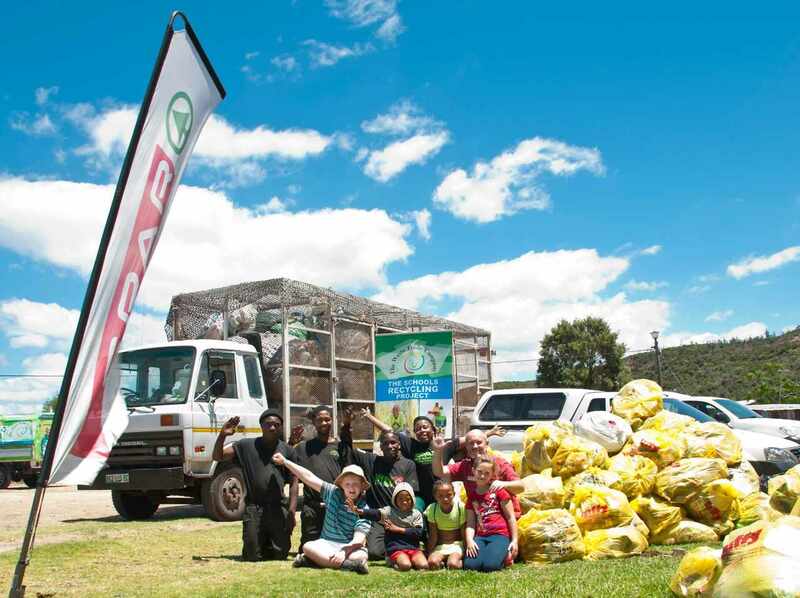 Approximately 270 people attended the event and 380 bags, donated by Plastics SA, were filled with litter! The purpose of the cleanup campaign is to raise awareness about the environmental impacts of pollution and the benefits of recycling. Furthermore this is an opportunity for SPAR Colchester to reach out to the local community. Michael Vlok, General Manager of SPAR Colchester, is very passionate about community upliftment, "The day is about getting the community together, having a fun morning, teaching children to do something constructive, giving them something to eat and putting a smile on their face." Spar colchester signed up with TWTC to recyclable their cardboard and plastic 5 months ago. Michael's plans also include setting up a public recycling station to offer the local community an opportunity to recycle, "we are committed to supporting our community and environment and will continue to invest in events such as these. We only have one planet, and it is our responsibility to take care of it." Emmy Nxayeka, Schools Project Coordinator from The Waste Trade Company, was seen collecting all the filled bags in the streets with the bright Schools Recycling Project vehicle, "the children love to help fill up the recycling truck, and it serves as yet another educational tool", she concluded the event with an educational talk about the importance of preserving the earth's natural resources by recycling. The Waste Trade Company commends Michael and his team from SPAR Colchester for their environmental efforts, "we look forward to joining forces to pursue further green growth in the Colchester community," says Kay Hardy, General Manager of The Waste Trade Company.